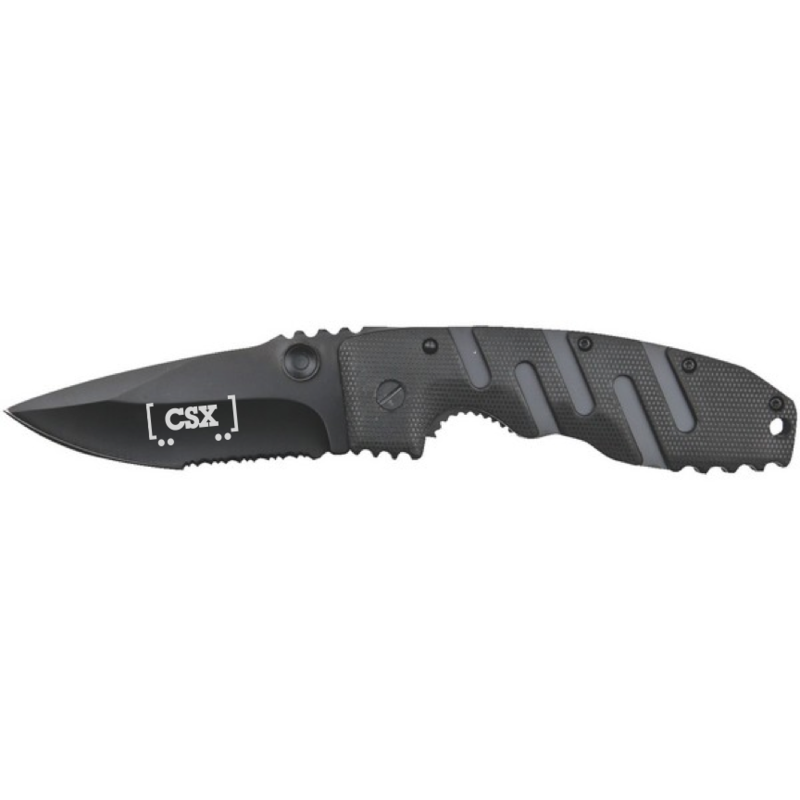 CT2599 - Tactical knife with metal pocket clip for easy access. Lightweight and easy to clean. Textured thumb grip for secure hold. Thumb stud and lock back construction. Packaged in white tuck box. Laser engraved CSX railcar logo.